I don’t know which speaks of summer more–ice cream or s’mores. There is nothing better than ice cream on a hot summer day, but there is nothing better than ending a night of camping with a gooey s’more by the campfire. Put them together, of course! At the end of the school year, my son went on a camping trip with his Cub Scout troop to the Air Force Academy. He absolutely loved the trip and still speaks of the things he saw and learned that weekend. He got to sit in various aircraft and visit the Academy fire station. It was one little boy thrill after another, but when he came home, and we asked him what his favorite thing of the weekend had been, he answered, “the s’mores” with a big grin on his face. Believe me that this is no reflection on the rest of the camping trip; he had an absolutely fabulous time, but the kid really loves S’mores too. 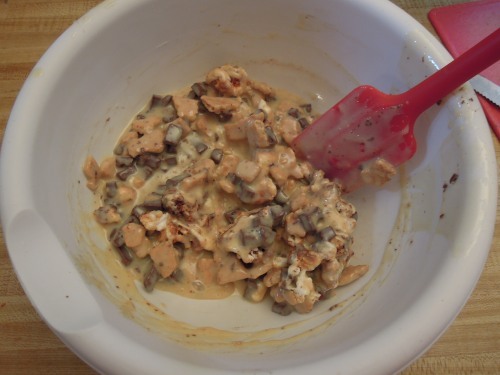 It is my son’s birthday this week, and the peanut butter cup ice cream was such a hit earlier this week that I thought I’d try a s’mores version in his honor. I shared my plan with my son yesterday, and his eyes grew big and round at the thought–his dreams were about to come true. 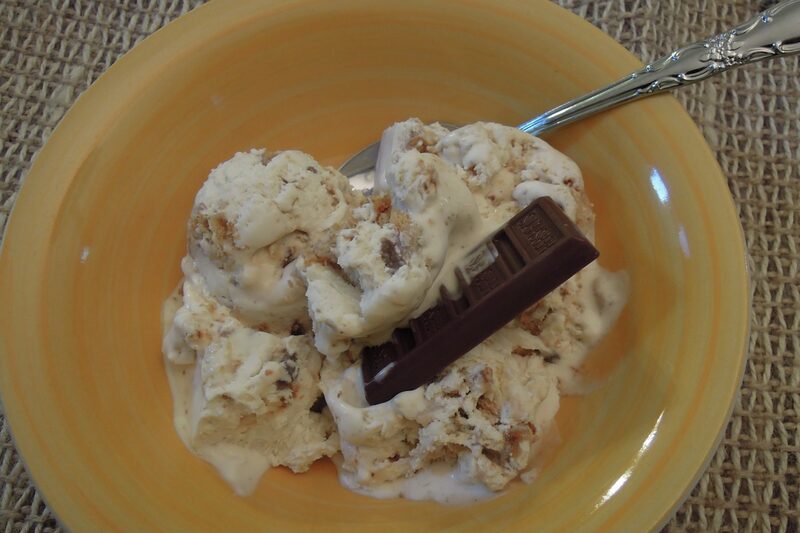 If you read Monday’s post for peanut butter cup ice cream, you know that this is about the easiest recipe ever. Two simple ingredients make up the base recipe–whipping cream and sweetened condensed milk–and you can add whatever other flavors you wish to make it your own. 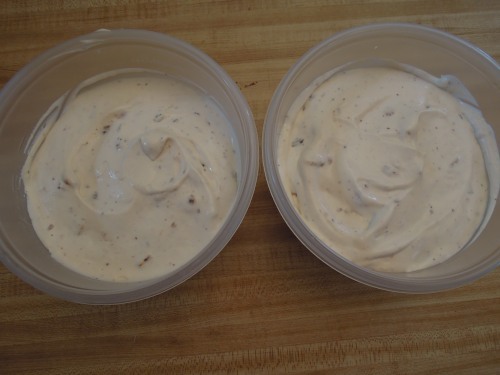 I think this is the perfect recipe to use for making flavors you love but can’t necessarily find at the grocery store. 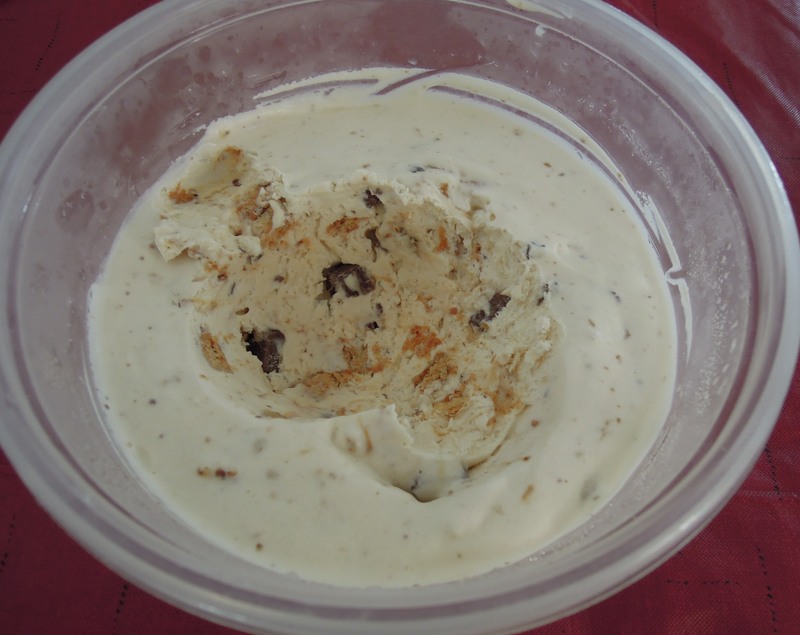 Add your favorite cookie crumbles or candy or fruits. Some might even want to make it boozy or add coffee flavors. It’s totally up to you. I’d love to hear about the flavors you devise. 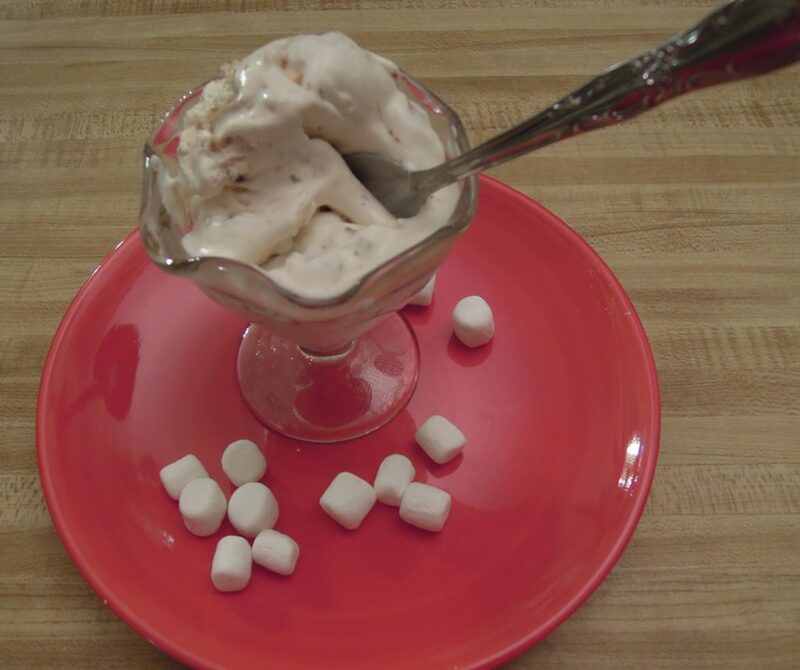 *Just like s’mores, this ice cream turns out very sweet with the addition of marshmallows and chocolate to the already-sweet milk. Kids will likely love it. 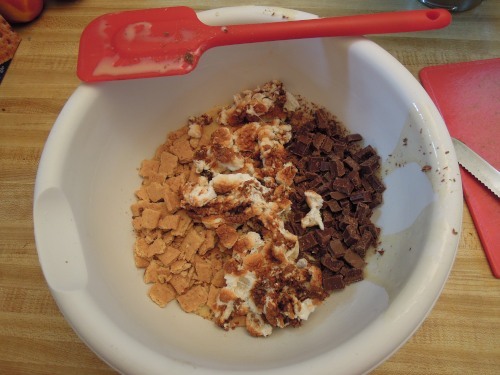 Toasting the marshmallows and removing them from the pan can be a bit messy but totally worth it. 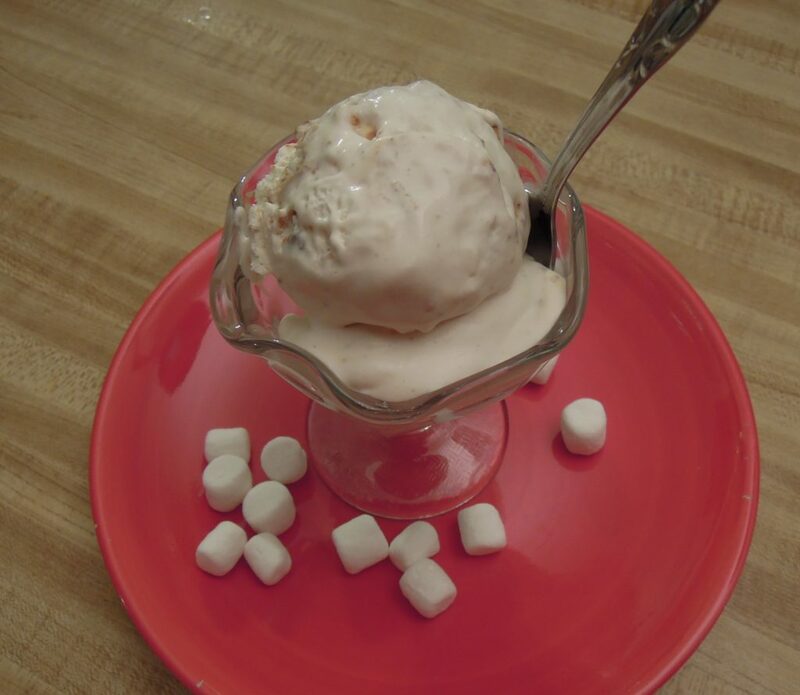 What they add to the ice cream is really essential for the s’mores flavor. Pour can of sweetened condensed milk into a large bowl. 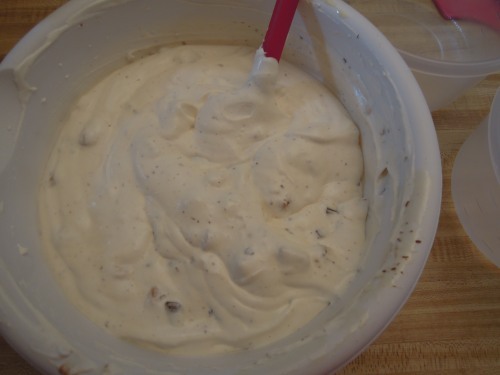 Whip heavy cream in a separate bowl until billowy soft peaks form. 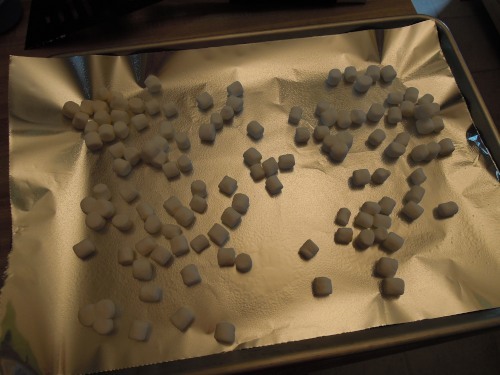 Toast marshmallows by heating the oven to 400 degrees or preheating the broiler. 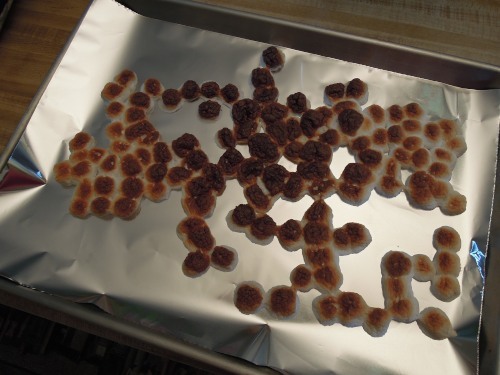 Line a baking sheet with parchment or foil and lightly spray with cooking spray. 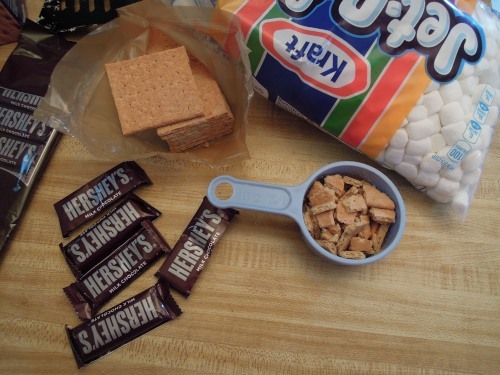 Spread marshmallows on pan in a single layer. Bake to desired level of brown. Warning: This goes quick. If you use the broiler it will be less than one minute. 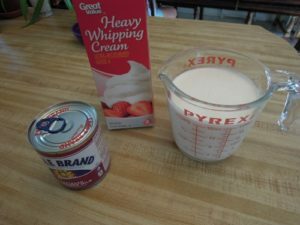 Gently fold whipped cream into sweetened condensed milk mixture until no white streaks remain. We had this today at Joe’s party and it was AmAzInG! Loved it and will definitely try this at home with my family! Yes, it was a pretty big hit. Thank you!